The Guinate Tropical Park is closed! The Guinate Tropical Park is a 45,000 m2 property with waterfalls, lagoons, wonderful gardens, more than 1,300 birds and other exotic animals. Guinate Tropical Park is located in the immediate vicinity of Mirador de Guinate (not to be confused with the Mirador del Rio! ), from where one has an excellent panoramic view of Famara and the neighboring islands of La Graciosa, Alegranza and Montaña Clara, half way between Haria/Maguey and Mirador del Rio. With its facilities for observing animals, its parrot show, a facility for raising various animals, a restaurant and a bazaar, the park offers its visitors much to do while they are here. 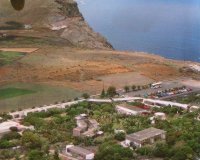 The park has its own bus service from Puerto del Carmen (departure from 10.00 am to 10.25 am from various bus stops) and from Costa Teguise (departure 10.45 am to 10.55 am, also from several bus stops). Arrival at the park: 11.30 am; return trip at 1.30 pm). 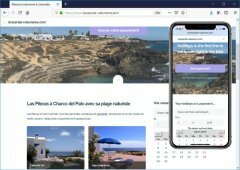 Guests with rental cars can use the park well and then for example stop over in Mirador del Rio or visit the caves of Jameos del Agua or Cueva de los Verdes.